Group 2: Public works building police; permanent watershed guards and permanent park police; University of Massachusetts police; employees of the Massachusetts Port Authority, comprising guards, guard sergeants, head guard and chief of waterfront police; officials and employees of the department of public safety having police powers; employees of a municipal department who are employed as fire or police signal operators or signal maintenance repairmen; ambulance attendants of a municipal department who are required to respond to fires and perform duties assigned to them; employees of a city or town who are employed as licensed electricians and elevator maintenance men employed by a county; employees of Cushing hospital; employees of the trial court of the commonwealth who hold the position of chief probation officer, assistant chief probation officer, probation officer in charge or probation officer, chief court officer, assistant chief court officer or court officer; officers and employees of the general court having police powers; employees of the commonwealth or of any county, regardless of any official classification, except the sheriff, superintendent, deputy superintendent, assistant deputy superintendent and correction officers of county correctional facilities, whose regular and major duties require them to have the care, custody, instruction or other supervision of prisoners; employees of the department of children and families holding the title of social worker A/B, C or D or successive titles who have been employed in such titles for 10 years or more; and employees of the commonwealth or of any county whose regular and major duties require them to have the care, custody, instruction or other supervision of parolees or persons who are mentally ill or mentally defective or defective delinquents or wayward children and employees of Cushing hospital. Group 3: Officers and inspectors of the department of state police referred to in section twenty-six, who shall be retired and receive retirement allowances as provided for in said section and in sections six and seven, anything in sections one to twenty-eight, inclusive, to the contrary notwithstanding. Group 4: Division of law enforcement of the department of fisheries, wildlife and recreational vehicles; conservation officer of the city of Haverhill having duties similar to a law enforcement officer of the department of fisheries, wildlife and recreational vehicles; employees of the Massachusetts Port Authority at the General Edward Lawrence Logan International Airport, comprising permanent crash crewmen, fire control men, assistant fire control men; members of police and fire departments not classified in Group 1; any police officer of the Massachusetts Bay Transportation Authority; employees whose regular compensation is paid by the United States from funds allocated to the Massachusetts National Guard and who are regularly and permanently employed under the control of the military department of the commonwealth and whose duties in such employment require substantially all normal working hours and whose continued employment is based upon federal recognition in the Massachusetts National Guard; members of the Massachusetts military reservation fire department; members of the 104th fighter wing fire department; employees of a municipal gas or electric generating or distribution plant who are employed as linemen, electric switchboard operators, electric maintenance men, steam engineers, boiler operators, firemen, oilers, mechanical maintenance men, and supervisors of said employees who shall include managers and assistant managers; employees of the Massachusetts Port Authority who are employed as licensed electricians, utility technicians, steam engineers, watch engineers, boiler operators, or steam firemen, and supervisors of said employees, at an electrical generating or distribution plant; employees of the department of correction who are employed at any correctional institution or prison camp under the control of said department and who hold the position of correction officer, female correction officer, industrial instructor, recreation officer, assistant industrial shop manager, industrial shop manager, assistant to the supervisor of industries, supervisor of industries, senior correction officer, senior female correction officer, supervising correction officer, supervising female correction officer, prison camp officer, senior prison camp officer, supervising prison camp officer, assistant deputy superintendent; employees of the parole board who hold the position of parole officer or parole supervisor; chief of security for the University of Massachusetts medical school or supervising identification agent; employees who hold the position of state hospital steward in the department of correction; the sheriff, superintendent, assistant superintendent, assistant deputy superintendent and correction officers of county correctional facilities; district attorneys, assistant district attorneys who have been employed in such capacity for ten years or more; the chief fire warden and the district fire wardens in the executive office of environmental affairs and the fire marshal of the department of fire services in the executive office of public safety; but the fire marshal shall have been a member of group 4 for ten years or have had ten years or more employment at the department of fire services or its predecessor agencies, the division of fire prevention and the Massachusetts firefighting academy, before being eligible for benefits under this section. Note: A municipality may elect to place in Group 4 uniformed employees of a municipal or public emergency medical service who are certified at any level by the department of public health as an emergency medical technician. This section shall take effect in a municipality upon its acceptance in the following manner: in a city having a Plan D or Plan E charter, by majority vote of its city council and approved by the manager; in any other city by majority vote of the city council and approved by the mayor; in a town, by vote of the board of selectmen. A member’s Group Classification will determine the age factor that is used when calculating a member’s retirement allowance. 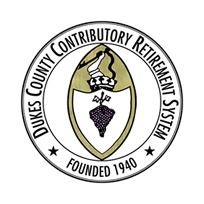 For more information on the types of retirement benefits available and how they are calculated, please see Retirement Percentage Charts. At age 55 or older if you have at least 10 years of creditable service for Group 2 or Group 4. Please note that you must have performed the duties of the Group 2 or Group 4 position for at least 12 months immediately prior to your termination or retirement. An average of your three highest consecutive years of regular compensation, for members of the DCCRS prior to April 2, 2012 or your five highest consecutive years of regular compensation, for members who were hired on or after April 2, 2012.